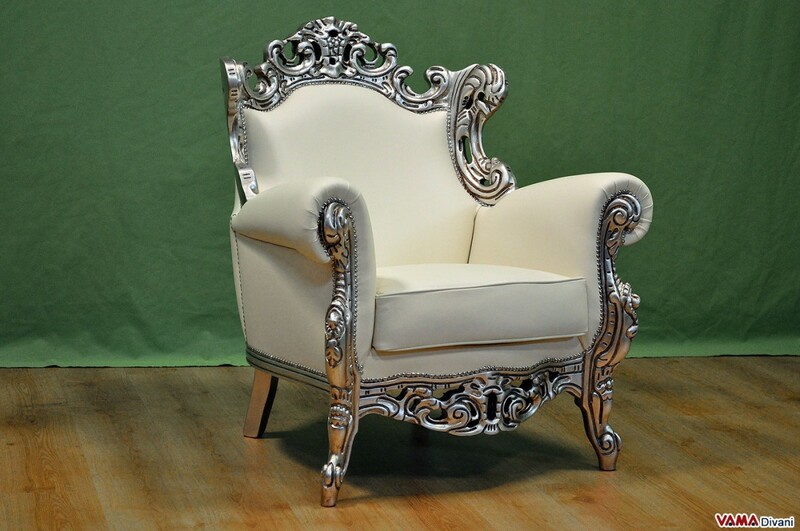 The Baroque armchair is a really regal and luxurious piece of furniture, that embellishes any room furnished in a traditional or Vintage style with its very impressive look. 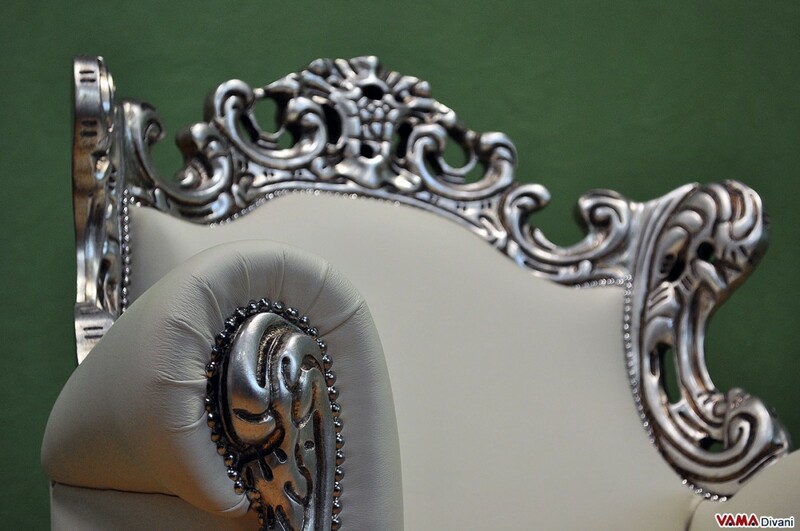 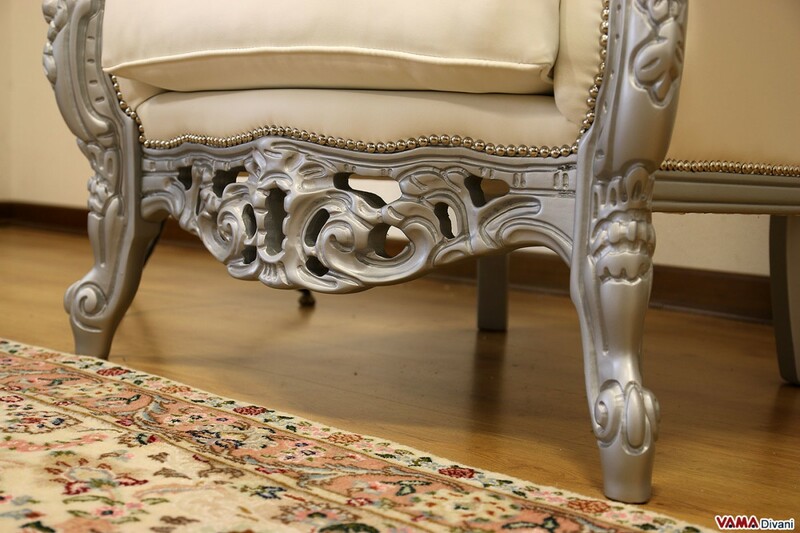 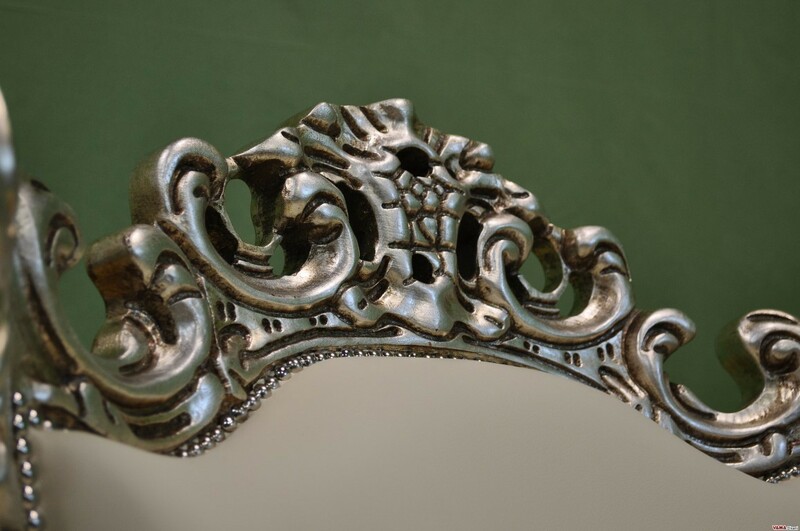 The Baroque armchair presents, first of all, a solid painted wooden frame in aged silver foil (also available in lacquer paint and gold foil), a very decorative element thanks to the refined details clearly inspired by the Baroque art movement. 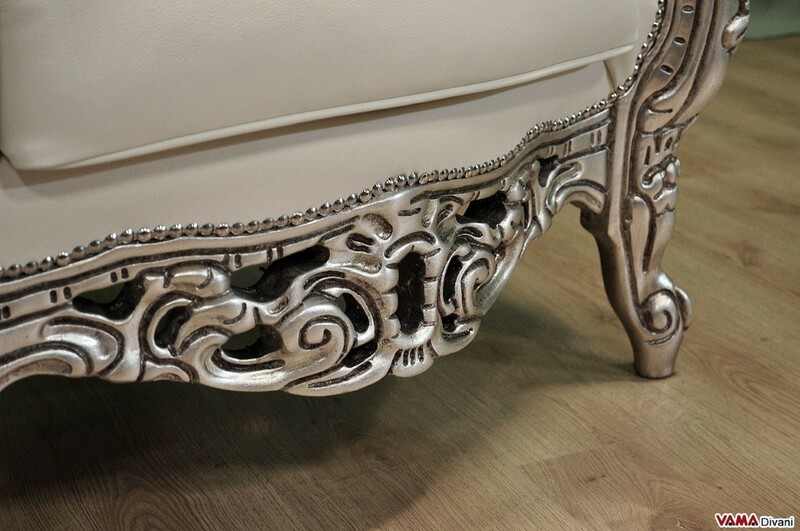 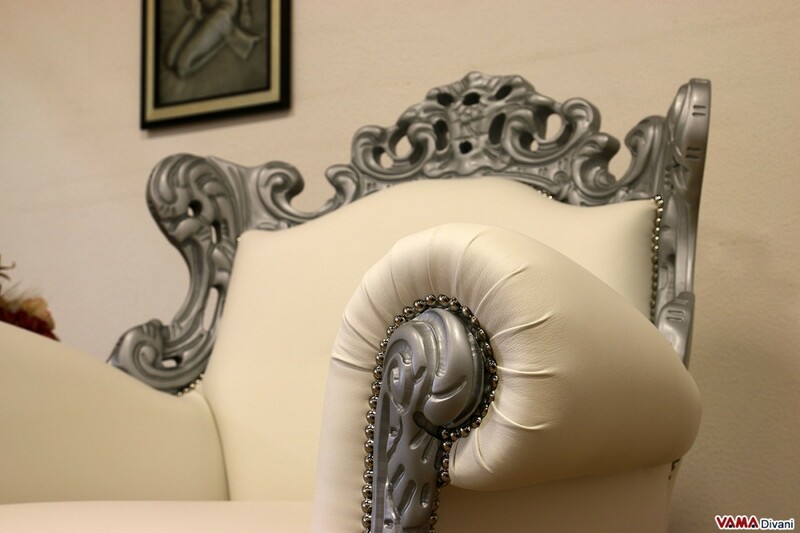 Its padding is upholstered in high quality leather, and the points between its upholstery and the frame are embellished with fine chrome studs. 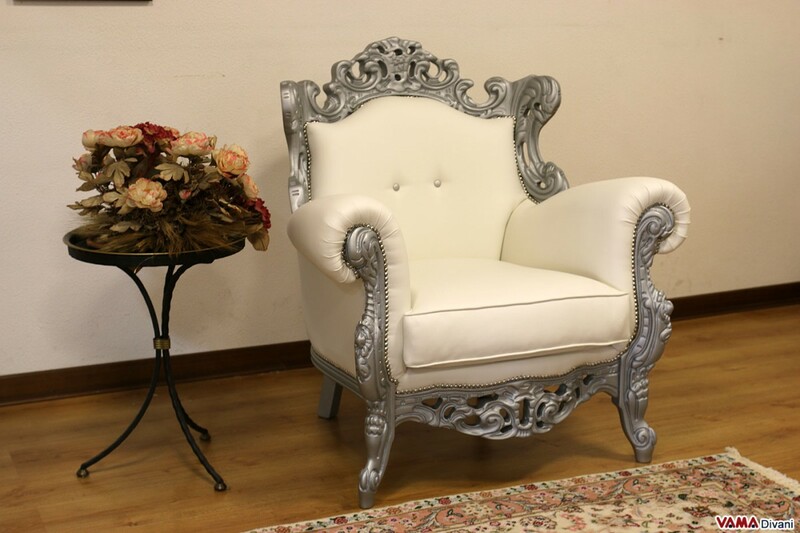 Concerning comfort, the Baroque armchair by VAMA Divani presents side arms, its very soft seat, its large and ergonomic back, all aspects that make this armchair really comfortable. 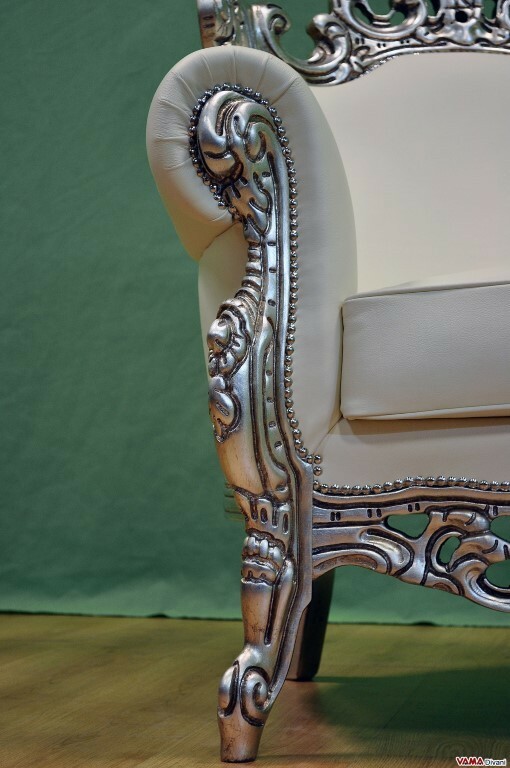 For lovers of luxury and extreme elegance, the Baroque armchair is an excellent choice.